HUGH Jackman fractured wrestler Dolph Ziggler's jaw during an appearance on WWE Raw on Monday night (19.09.11). 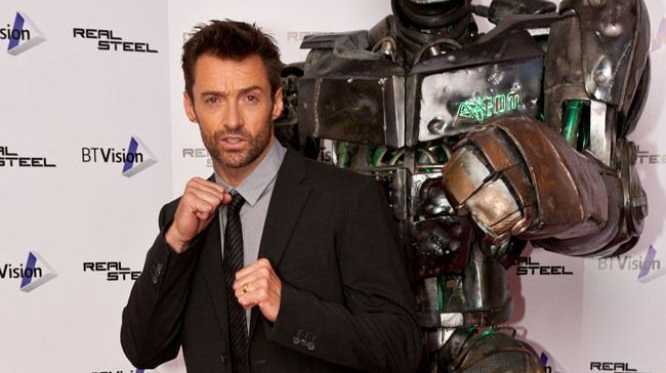 The Australian actor was acting as guest host on the show and after some verbal baiting from Dolph - who insisted on addressing him as Batman rather than his 'X-Men' character Wolverine - Hugh landed a punch on the wrestler's jaw causing the hairline fracture. Although the punch was staged, it is believed the stunt went wrong, causing the grappler to have to undergo an MRI scan which confirmed the injury. "hairline mandibular fracture. Guess i'll put my chipotle in a blender for a few weeks, its not ballet #HEEL > heal (sic)"
However, Dolph doesn't appear too worried by the injury and is adamant it won't stop him from competing although he did skip training yesterday (21.09.11). "skipping gym, heading to ballpark to catch the diamondbacks game! icing my jaw with a few cold ultras #HEEL (sic)"
Hugh was on the wrestling show to promote his new movie 'Real Steel', which features boxing robots.